Should I Tell Them About My Dating History? When you’ve known someone for a long time, it’s usually easy to buy them a gift for the holidays. You know enough about what they like and don’t like. But if you’ve recently started seeing someone new, you’re likely at a loss for the perfect gift. After all, you don’t know much about each other yet. You’re not sure of their hobbies or interests. You have no idea what they would want for the holidays. You don’t want to ask because it puts them on the spot. You can always opt out of getting your new partner a gift, but you want to make a good impression, right? You can tell a lot about a person from their social media accounts. Look at the type of content they post, especially when it comes to Facebook posts. People often share videos or make comments about products they wish they owned themselves. You can use that to find something your new partner will adore. With Instagram, you can see the type of hobbies your new partner is interested in. You can also see what your new partner already has and hopefully avoid buying a repeat gift. Unfortunately, you won’t be able to use this trick if you haven’t exchanged social media information. 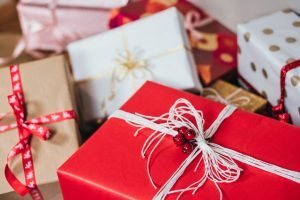 When it comes to a new partner, you don’t want to get crazy with gift-giving. That means you don’t want to buy them a pile of presents and you don’t want to spend a fortune on a single gift. You can usually get away with something simple when it’s your first holiday together. If you do opt for an expensive and dazzling gift, you may scare off your new partner. He/she may believe you are moving too fast with the relationship. It is never a bad idea to get your partner something with his/her name on it. This is a fun gift idea that works for any occasion. It’s rarely expensive, but always appears thoughtful. Of course, you need choose a gift that falls into your partner’s interests/hobbies. If you choose something random, your partner may think you aren’t serious about the relationship or getting to know them. Opt for something you have seen them use or you believe would be useful. This gift idea depends on how long you’ve been seeing each other. If you’ve only gone on a few dates, this idea won’t work. If you’ve been seeing each other for a few weeks or even months, this is a great idea. You can choose a gift that symbolises your first date. You can choose a gift that represents something you both have in common. This gift doesn’t have to be store-bought either. A handmade relic of the relationship may be significantly more sentimental to your partner. Of course, the best way to choose a gift for your new partner is by listening to them. Since the holidays are approaching, they will likely drop a few hints about what they want. If you pay attention to these subtle clues, you’ll be able to get them the perfect gift! If you haven’t got a partner yet, it’s just a case of sending out some some messages on our dating site and going out on some dates. There’s still time! Every relationship reaches the point where you have to ask: Is it time to introduce them to your inner circle? After all, you’re not going to date someone without ever introducing them to friends and family. At the same time, you don’t want to introduce every single potential partner to your friends. You could overwhelm your friends or even build resentment. If you’re moving too fast with your relationships, you could end up facing that problem. If you feel that’s the case, take a step back from dating and take a look at why you might be rushing your relationships. When you’re making the introductions, less is more. Don’t invite your partner to a party with 25 of your closest friends. Start with brunch and maybe 2 of your friends. This gives your partner the chance to get to know the people in your life, while also giving your friends the chance to get to know your partner. Intimate gatherings are ideal for initial meetings. This way, your partner will be happy to see a familiar face at that 25 guest party. It saves both of you from becoming overwhelmed with the interaction. Plus, if the relationship falls apart soon after, you only introduced this partner to a few friends. It’s not easy to choose the right timing to make introductions. That’s because there is no right or wrong answer. There isn’t exactly a rule book, either. It’s different for everyone. Your time line might work with this partner, but be too early with the next. You really have to gauge every relationship individually and decide what is best with each partner. Generally, premature introductions aren’t wise. There are a few cases where an early introduction has had benefits. Such as the partner didn’t like the friends, ultimately deciding the fate of the relationship. Other examples may include the reaction the partner has about the introductions. After all, you can tell a lot about someone by how they act when they meet new people. If you don’t want to take that chance, wait until you feel you know this person well enough to introduce them to other people who are important to you. Many of our friends form opinions about our partner, whether we’re serious about the relationship or just testing the waters. This can go many ways, including the good, bad, and in between. In the instance of a bad judgement, you might find yourself being peer-pressured into an early end for this relationship. 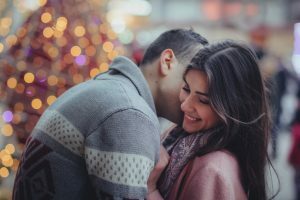 On the other hand, if your friends love your partner, you may feel obligated to stick around even if you’re not feeling the connection. This is another reason timing is important and making small introductions is beneficial. Ultimately, when you’re introducing your partner to your friends, it’s because you’re confident in the relationship having some sort of success. If you’re not confident about that, it’s too early to make the introductions. Granted, early introductions could save you from investing too much time in a doomed relationship. But do you want to make that call or let the relationship play out on its own? 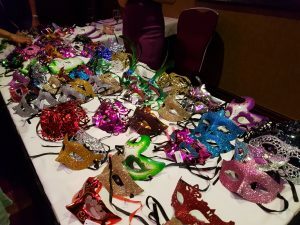 Thank you to everyone who came to our amazing 15th Birthday Masquerade Ball. 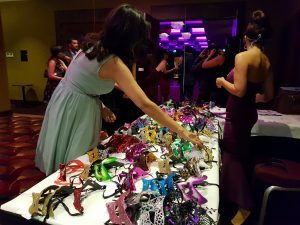 With over 250 tickets sold, the party was sold out with a wonderful crowd. 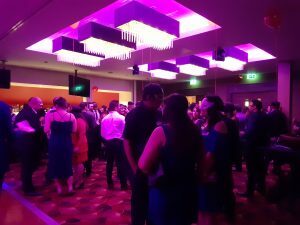 We had masked speed dating, magician Ravi Mayar, popcorn, candyfloss, live music and much more. Above all, we provided opportunity and many great matches were made during the night. We’ve had many people tell us it was our best event ever, so we are excited to think of ways we can top it in 2018! If you have any ideas for events that we don’t currently offer, please add your thoughts to a comment on this page. We’d love to hear what you would like to see. Here’s to the next 15 years! James, Paul, Meera, Amrita and the Team.